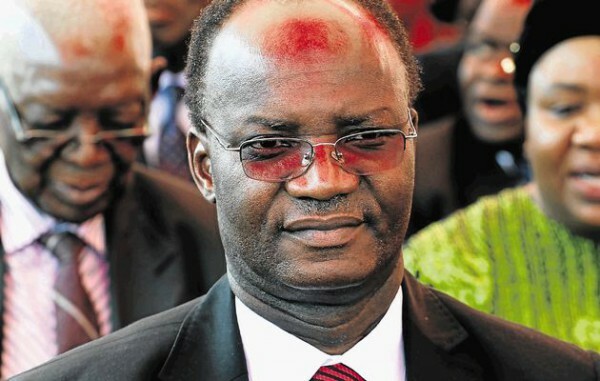 Jonathan Moyo says I Am The Only True Prophet. Home Breaking News Feature Articles Gossip Headlines Jonathan Moyo Local News News Politics Trending News Jonathan Moyo says I Am The Only True Prophet. Zimbabwe is taunted as having the most educated people in sub-Saharan Africa yet the country is so poor and lacks basic amenities that other countries enjoy, even those with more goats than people as Jonathan Moyo derisively described Botswana. If those degrees, professorships and other academic certificates that the likes of Moyo flaunt as evidence of wisdom were helpful to move the country forward, we would never have problems in a country with vast mineral resources, the best climate, soils and peace-loving citizens, all the necessary ingredients for development, yet the country remains poor and underdeveloped. The problem is that Zimbabweans have for long trusted these so-called educated lunatics, the likes of Moyo, with the running of the country. The nature of academic education means PhDs and professors are experts only in very limited areas within a particular discipline yet they behave as if their PhDs are in every discipline to an extent they now claim to know truth in its ontological state as if they are God or his prophets. I interacted closely with Jonathan Moyo for more than three years and discovered that there are areas he is knowledgeable in, especially in the academic field of politics but our association also made me aware that he had limitations in several other disciplines, especially the media. Moyo is driven by a warped professional provincialism whereof he thinks the media have solutions to every problem that people could encounter. He overvalues the potential that the media play in solving problems that whenever he stumbles on any piece of information, he thinks the best place it should be is in the media. With the advent of social media, Moyo has increasingly exhibited his naivety and childish fascination with foisting his thoughts on people to an extent even his boss, President Robert Mugabe, complained. On his twitter handle, Moyo has castigated political figures like South African President Jacob Zuma, Tito Mboweni and lately Vice President Emmerson Mnangagwa. 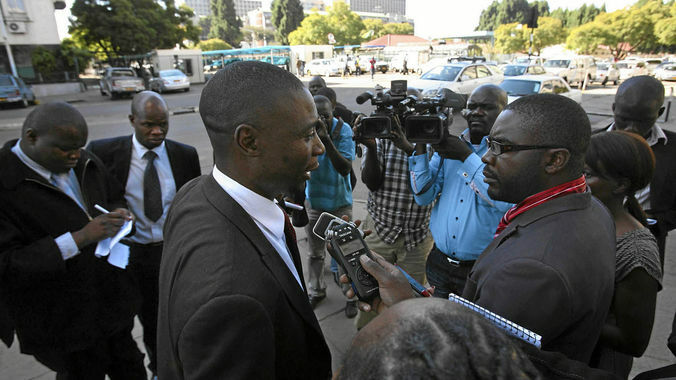 He has now extended his attacks to include religious leaders like Prophet Emmanuel Makandiwa.  The problem with Moyo and many other so-called educated PhD holders and dubious professors that litter our streets today is that they stupidly believe, because they have academic qualifications in a particular area, they now know everything in every discipline of life. I thought being educated entailed appreciating that one knows a lot in a very small field which means they are more uneducated than educated. I have a friend who has a PhD in entomology, the study of insects, yet the insect he specialised is a bee, thus he doesn’t have a lot of information on locusts, ants, praying mantis ex cetera. But the likes of Moyo think that since they have PhDs, they are now gurus in politics, geology, economics, media, prophecy, religion, HIV and Aids, human sexuality, homosexuality, medicine, physics and every other discipline. Moyo’s latest verbal incontinence, through his twitter handle, targeted a very complex religious field that Moyo, as educated as he claims to be, should have been better positioned to know that he wasn’t qualified to comment on, at least before scientific research. I thought those who have done school to the level of Moyo know something to do with empiricism, the need to put anything to test to ascertain its veracity using scientific research methods. I thought any wise person and in the position of government minister like Moyo, should have approached him that he is taken to the place where the oil is with a group of geologists to verify. If Moyo’s boss, President Mugabe, could send a cabinet taskforce to verify reports of pure diesel oozing out of a rock, why didn’t Moyo challenge Makandiwa to take him where the oil deposits are for verification before calling people names? The problem with Moyo is that he thinks he is the be-all of wisdom yet he is part of a coterie of pathetic so-called PhDs who have presided over the demise of this economy. Apart from writing a political manifesto and foolishly calling its philosophies an economic blue-print, Moyo has shown his lunacy by claiming that the country’s economy could be turned around through a fetish exercise of bringing into the country some skulls of long forgotten individuals from some museum in Britain. Surely if Moyo can believe in that, he should have no problems in believing that a prophet can be shown oil deposits by God unless he harbours intrinsic hatred for the prophet and the kingdom he represents. Moyo is not a nihilist, he strongly believes in ancestral worship and he also believes spirit mediums played a part in liberating this country, which belief is religious and very debatable, yet when it comes to other religions, in this case Christianity and its prophets; he jumps to label those that believe in such as “fools”. Surely, each religion has its own prophets, African traditional religion has Mbuya Nehanda, Sekuru Kaguvi and Moslem has Prophet Mohammed, and why is it so-called educated people like Moyo want to lampoon Christians for believing in their prophets when he is part of a government where N’angas are part of the political and electoral paraphernalia that everyone, from top to bottom holds so dearly? If Moyo believes in Nehanda and Kaguvi and several N’angas, he should certainly leave some of us to believe in Makandiwa and his prophesises. If Moyo’s government does not believe there is oil in the country, I don’t think it will be long before another government, which listens to all people, whether they are prophets or not, acts on Makandiwa’s lead and do explorations for the oil.